Imagine that you are that father carrying the baby to Gokul, when the night was very dark; the mother you left behind in prison now deprived of Krishna. This is not yet Abraham having to sacrifice his Isaac, but still! Who knows what will happen? Kansa might awaken and rip your wife to pieces. This baby in your cloth seems to laugh at you in the night, but you cannot believe this child is God. And even if you did believe it, you find yourself in a nightmare and every step you take is one in darkness. You are told to swap your baby and another in Gokul. Yes, it's the escape from the prison that we all must take. When we understand, that our essential nature must be trusted, protected, and nurtured above all else. Above all doing and attachment to images of the world. Then our awakened DNA begins to sing...and this singing transforms.... shattering the crystalized thought forms that imprison us. Krishna inside the fabric of your cloth would actually feel like a homing beacon and you like a fat boy slim reaching for your destination. One more mile beyond these trees, you are destined to sit on the riverbank, because you know there is no bridge here across the Yamuna. The dark winds are rising. The cumbrous air is so wild with leaves. The stream objected that it was dashing itself against the sand, only getting absorbed: that the wind could fly and this was why it could cross a desert. When he heard this, certain echoes began to arise in the thoughts of the stream. dimly, he remembered a state in which he - or some part of him, was it? - had been held in the arms of a wind. He also remembered - or did he? - that this was the real thing, not necessarily the obvious thing to do. And that is why it is said: The way in which the Stream of Life is to continue on its journey is written in the Sands. Santa, Dasya, Sakhya, Vatsalya and Madhurya. Each rasa includes all the qualities of the preceding one, plus a distinguishing quality of its own. Son of Indra and Kunti is only a servant of Lord Krishna (in dasya rasa). He is destined only to protect cows. To cross Yamuna and to get VrndaVan forest true bhaktivedanta can use heads of the turtles swimming in Yamuna river. Before there was time, there was nothing; there was not even darkness. But time began, because something must have moved somewhere. Was it a Big Bang? A nanosecond and an atom are too immense things to imagine this, this one "vibration" of the infinitesimal -- somewhere -- became the measurement of all time. Now the only thing that existed was time. Nothing else. Did something wrong occur? Out of eternity, time had substantiated infinity, time stretching in all directions from this First Point Zero that was far in the past within the void of eternity. This was the first day of creation. For there was light. So, it wasn't a Big Bang. It was a quantum particle, that one could distinguish from nothingness or the darkness. This is the deep meaning of the beginning of Genesis. so what to speak of the illusory, external energy." there is no question of creation nor of annihilation. between the creation and annihilation is temporary. is everlasting, full of knowledge and bliss without deterioration. present and future in the estimation of time. time is conspicuous by its absence. changes — are not existent. Time-space was the expanse that Elohim (First Source) made in the second day. "My dear Uddhava, I have thus explained to you perfect knowledge. There are philosophers, however, who challenge My conclusion. existing as a perpetual flow of transformations. gradually dries up and no one benefits from it." How would you describe the Christ grid for those who are not familiar with the concept? Essentially, what is it? Ron: The Christ Consciousness Grid exists around the Earth and is reported by different researchers at varying heights above the Earth. I believe that due to the holographic and fractal nature of the grid, it appears at different levels because, in truth, it is everywhere. The Christ Grid is purported to be anchored by its axis at Cairo and Moorea, while many of its nodal points are laid out upon the surface of the Earth. These nodal points correspond to natural energy power spots, which many of the ancient cultures have pinpointed and utilized. This Christ grid is different from the dodecahedronal grid that Plato described. It includes connecting the center of the Dodecahedronal pentagons with the corners using five more lines (of the same length) for each of the twelve pentagons. This creates what is called the stellated dodecahedron form, and that form is associated with "Christ consciousness". There is a vast difference in consciousness and experience between the dodecahedron and the stellated dodecahedron. The stellated dodecahedron (the Chris grid) holds the template of all the preceding templates (expressed as geometric forms). It is an expression and model of "integrated completion" and "coherent unity" of all the foundational templates. Let's look for a moment at the fifth template-the dodecahedron-which builds the foundation of the stellated dodecahedron. The dodecahedron represents total surrender to unconditional love. This seems to be a challenging point as many seem to stop here and get lost in bliss, feeling like there is no point in continuing to evolve. To help identify why this happens, we found a clue as we were constructing the platonic solids out of tape and equal size plastic drinking straws. Constructing the solids in this fashion, one would find that because of the geometry, two geometric forms are weaker than the rest and have a very difficult time holding their shape or form. These two are the cube and the dodecahedron. The dodecahedron represents unconditional love. Unconditional love by itself is the sweetest blissful experience. It is a necessary step toward realizing Christ Consciousness. However, that blissful unconditional love is missing an important element. The element missing is conscious awareness or "mindfulness". I am not talking about being mentally focused. I am referring to mindfulness in the Zen Buddhist description. It is so easy to be melted in bliss and then become crippled and unable to be effective in the physical world. This is like assuming that you have arrived at your life's destination and spending the rest of your life alone pursuing a constant state of bliss. In a way, this is simply just an addiction to bliss. Mindfulness-the practice of observing one's habits, patterns, and choices is essential to our evolution. We must clearly see ourselves and our level of responsibility, integrity, and impeccability in order to evolve. All of these elements are what strengthen our dodecahedron and turn it into a stellated dodecahedron-enabling it to stand on its own and retain its shape. This is why the dodecahedron was not named the Christ consciousness grid. The openheartedness of the dodecahedron requires the internal support of a trinity of personal commitments: impeccability, self-responsibility, and integrity in order to transcend into the stellated dodecahedron or Christ grid. It takes the integrity and responsibility of honest self-observation and Zen Buddhist mindfulness to remain active and aware whether one is in the bliss state or in the struggle of 3D reality. The stellated dodecahedron is about adding conscious awareness, impeccability, self-responsibility, and integrity to the open heart to create Christ consciousness realization. Without the commitment to the higher qualities stated above, unity becomes a transitory experience that is dependant upon a leader to get people there instead of the natural unfoldment of the process from the individual level. We have all frequently observed open-hearted people with the best of intentions fall prey to the agendas of other people or those of their own ego. If individuals do not commit themselves to impeccability in their behavior (which leads to a natural integrity), they fall prey to the ego agendas of themselves or others. Openheartedness without conscious mindfulness is an expression of dodeca consciousness. 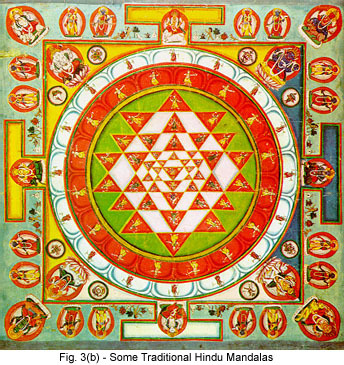 The stellated-dodeca is the consciousness of a self-realized being and that is why it is referred to as the Christ Consciousness Grid. Christ (or any other master of this level) exhibits this self-aware consciousness, which is an exceptionally high level of personal refinement that is practical and attainable for all humans who sincerely discipline themselves to attain it. It is so much more than chasing bliss. This is what is truly expressed in Christ's teachings. He didn't want anyone to follow him. He wanted us to become as he became - a self-aware enlightened being. The Christ consciousness grid exists as a reminder of our true nature and encourages us to attain it. (...)"Christ, non-personalized, is human salvation from the grips of a repressive energy system that places human beings in a survival mode of consciousness. Christ is the Grand Portal. The antichrist, therefore, is represented as a collection of forces that resist the discovery of the Grand Portal for fear of the changes it will bring.(...)" The vibration was repeating itself over time; not upon some timeline, but actually in a specific place within the endless spaces, in its timeless state -- cornering time forever -- was the energy frequency growing because it repeated itself on a higher level. Elohim called the spaces, for the future worlds of creation, "land". The vibration itself was a soft, high tone in the middle of nowhere, but one day (this one), the tone-vibration of equality would quietly touch the land and become another tone: placing a second one in time, for which it was so happy because now it was no longer alone. Over time, this tone as well does grow into a pure, but separate tone, of an individuated frequency, but both these tone-vibrations would sound together in perfect harmony, the most pure and perfect octave. The first Acmeon is enchanted by this mystery. Ever more, ever more insistently it feels itself being attracted to the second Acmeon. Ever warmer and deeper its tone that constitutes its existence develops. This doesn't fail to exercise a certain influence to the second Acmeon. Its tone as well now develops further in warmth and clarity. The difference in sound -- sounds that at the same time so perfectly match -- exerts an irresistible attraction. the highest of all that is good. In my psychology, an infant becomes self-conscious in three years; for one can couple the first seven years of one's life with the seven days of creation, and I also can because of what took place within my own life. When I was seven, nothing was the same ever again. I will talk about what happened then later. For now, let's concentrate upon that first most impressive change of the consciousness or HMS calibration at around three or four years of age. Now. Let's begin, in explaining how you from the age of one, two, three, begin the process of becoming the system manifestation and actually designing and creating you and your own life in this world. As I have previously stated, the real threat is people’s indifference to re-referencing their world from the HMS to the Sovereign Integral. The Elite, at all levels, direct the attention of humanity on those efforts that build the world according to their needs. The New World Order exists now, and the Anunnaki and their placements are well in control of it. Regardless of what name you give it, the world is indeed undergoing a new order, and there are those within the Elite who are assessing the masses’ awareness of these changes and their reactions to it. since sunnette does NOT even address the Sovereign Integral, her method offers no solution... and promoting her teachings are a far cry from "discussing the WMMs" as suggested for the focus of this forum. She has her own website and forum for those interested in her teachings... here, they are only one more distraction. 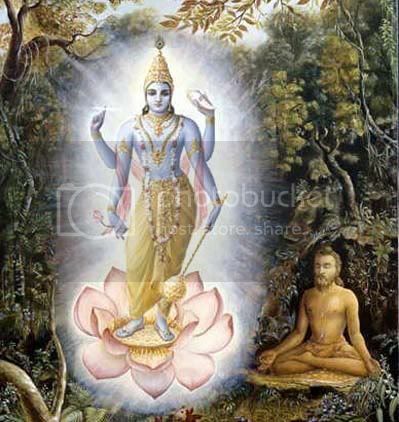 which, although temporary, affords one the opportunity to attain the highest perfection. has not fallen down and died. whereas true consciousness is possible only for a human being." for advancing in the material comforts of life. he always thinks himself happy, even while in the midst of misery. the natural comfortable life enjoyed even by the animals. Of course it is first the parents who purvey the emotional activation, the initialization if you want; it is their imprint of a few most important moments that the child will carry their entire life up until death, and that rule it. The small toddler experiences these energies within them without the ability to place it. Without the ability to do anything about it, but recognize that they are there indeed. And you forget them and you recognize them, and you forget them and you recognize them and this process will go on in a sense until you are nine. Spirit becomes matter through the vibration of sound, and similarly, matter becomes spirit through the harmonics of sound. It is a reciprocal energy transfer— one in which science is only now beginning to understand. Since prehistoric times, humans have known that music modifies the environment and our relationship to time and space, but now science is revealing that music also modifies our cellular structure, energy structures (chakras), and the coherence between our total selfhood (heart-mind-body-soul-system). In the study of wave phenomenon known as the science of cymatics, sound waves produce an effect on inert matter, structuring it into geometric, even archetypal forms. This same cause and effect relationship of sound waves on matter is what produces the effect at the atomic and cellular levels of the human instrument. However, it is more than mere physical impressions of the sound waves. There are harmonics within the sound that extend into higher and lower frequencies than the audible range of the human ear, but nonetheless impact on the vibrational structure of the the human instrument's DNA, mid-brain structure, and central nervous system. would that be just any sound Seed, or any light... ? this quote that has been posted repeatedly, is linked to the Hakomi Music...which was SPECIFICALLY designed to cut through the "vibrational soup" (described in this paper) or what James called lately "static" that we are surrounded by by now thanks to our technological toys and the path of our Planet in the Milkyway Galaxy... and these SPECIFIC frequencies that are embedded in all the WMs music, are one of the "tools" provided by the WMMs for Transformation... that infuses body and soul... into ONE consciousness. The "tools" provided by the WMMs, will, if used as suggested, result in a "Coherence of the Evolutionary Consciousness" ... and allow one to remain calm and unconflicted during the chaos of the Shift now upon us as a species...in all levels of the multi verse that you choose to experience a model of existence. flow in the vibrant river of sound and light."